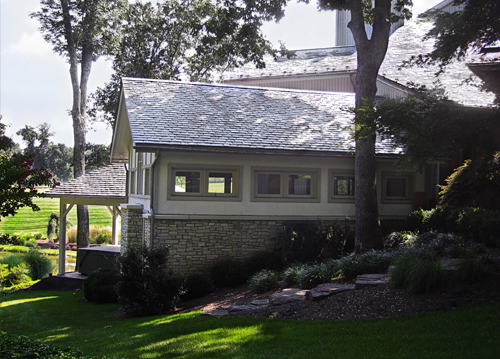 Harman Construction, is a family owned and operated custom home remodeling company. Owner, Mark Harman, has been in the business for over 25 years, and has a wealth of knowledge in custom home building, home remodeling, as well as commercial building/remodeling. He and his team of professionals have the capability of fulfilling any of your home improvement needs. Mark, a Baltimore native, started in the building industry as an electrician in 1980. It was in 1985, that he decided to obtain his MHIC license, and begin his journey into what has become his passion today – custom home building and remodeling. In the early 1990’s, Mark was part of a team of builders that built one of the first Dream Homes in Maryland. Since those earlier years, he has completed numerous new home projects, transformed many kitchen and baths into some of the most exquisite, as well as replacement of windows, doors, siding, roofing, driveways and sidewalks. Mark’s pride in his business is shown with his “hands on” approach with his crews, and more importantly, the professional and detail oriented manner in which they operate. When people ask hours of operation, Mark is available 24/7, providing each customer with direct access to him at all times. Customer satisfaction is a number one priority, and every step of the construction is done meticulously and with great attention to detail, as all work is guaranteed. The success of the business has been primarily based on referrals from satisfied customers. His employees are honest, dependable trained craftsmen, who take pride in every job. Mark works hand-in-hand with every customer and has the ability of providing architectural design along with an array of showroom suppliers, and basically treats every job as though its being done for himself. If you want a company that you can trust, is detailed oriented and has the expertise to deliver, look no further, Harman Construction is the builder for you.